I'm Stephanie, a senior art director, UX/UI designer and contemporary artist based in Berlin. Do you like bubble gum? I always focus on the user's experience in the specific context of each project – whether for an artwork, branding and/or a digital service. I am working collaboratively on ideation, creation and implementation for various industries. My client base ranging from fashion and sportswear to museums and institutions, educational centers and universities, from publishing houses to food and beverages, beauty and pharmaceuticals. Bubble gum tells us an insightful story about our behavior toward the products and offers we encounter on a daily basis. It is an illustration of the trial-and-error approach. It encourages a repetitive process: we chew on the bubble gum and, as a highlight, blow a good bubble. This makes us happy! For this to work, it's essential that our basic material is correct and functions well so that we can go on blowing bubbles. Imagine if the stick of bubble gum was too soft, too hard, too small or too big. For me, it's easy to see the similarities between bubble gum and an agile and sleek design approach. For a start, there's choice and availability. 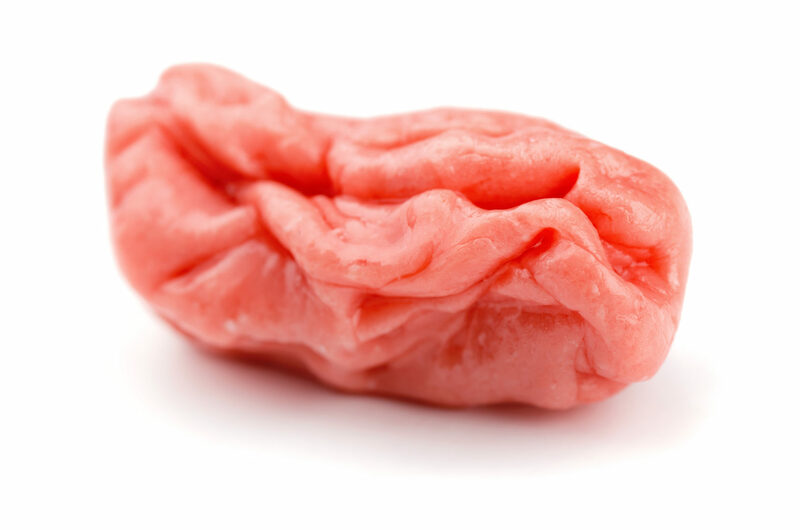 When we choose the gum we pick between different flavors; the gum as a strip, ball or piece; sugar-free or sugared; easy to inflate or not, and so on. Transferring this into a design process I believe in a natural and inventive culture where the work of multi-disciplinary thinkers can come together and find its way into society. My experiences in creating projects for various industries has brought out my main passion: a deep connection to a human-centered approach. I'm here to generate great user experiences that solve everyday problems. But why? And what does that have to do with the way I work? For portfolio requests and service inquiries, please write an email or connect with my social profiles. Diese Website nutzt zur Webanalyse Google Analytics. Dies ist eine Dienstleistung der Google Inc. („Google") Google Analytics verwendet „Cookies". Die durch den Cookie erzeugten Informationen über Ihre Benutzung dieser Webseite (einschließlich Ihrer IP-Adresse) werden an einen Server von Google in den USA übertragen und dort gespeichert. Google beachtet die Datenschutzbestimmungen des „US-Safe-Harbor"-Abkommens und ist beim „Safe Harbor"-Programm des US-Handelsministeriums registriert. Google wird diese Informationen nutzen, um Ihre Nutzung der Website auszuwerten, um Reports über die Websiteaktivitäten für uns zusammenzustellen und um weitere mit der Websitenutzung und der Internetnutzung verbundene Dienstleistungen an uns zu erbringen. Wenn Sie nicht wünschen, dass Informationen über Ihren Webseitenbesuch an Google Analytics übermittelt werden, haben Sie die Möglichkeit, für Ihren Browser ein „Deaktivierungs-Add-On" zu installieren. Außerdem haben wir Einstellungen vorgenommen, wonach Google Analytics den letzten Teil der IP-Adressen der Besucher unserer Website löscht. Damit kommen wir auch hier nicht in den Besitz von Daten, die für uns Rückschlüsse auf Ihre Person zulassen.